Charles Benjamin Lewis was born on 6 October in 1862 Oswego, Oswego, NY to James and Margaret (Dutcher) Lewis. His family moved to the Kalamazoo area of Michigan when he was an infant. He married Frances Mabel Frielink, daughter of Garrett Frielink and Helen Niezen, on 16 May 1894 in Kalamazoo. They had four sons and one daughter. A dinner at the home of their son, Harold, followed by an open house at the home of their son, Francis, was held in celebration of Charles' and Frances' golden wedding anniversary on Sunday 14 May 1944. Charles was a blacksmith for a while, as his father had been. When he was employed as the first conductor on the interurban out of Kalamazoo, he moved his family to Augusta, half way between Kalamazoo and Battle Creek. In later years he worked at the Hanselman Candy Company back in Kalamazoo and then was employed by the Grace Corset Company of Kalamazoo as a maintenance engineer. (The Kalamazoo Corset Co became the Grace Corset Co in 1922.) At the family house on Davis, he rented out rooms to college students. He retired in 1942. Charles was a witness for the marriages of his sister, Mary, to David Slack in 1885, his brother, John, to Frances Davis in 1889, and his nephew, John W. Rychel to Jennie Gauw in 1896. Charlie enjoyed reading, sports and his victory garden. Daughter, Helen, recalled him as a funny man. Grandson Art Jr. remembered Charlie as an optimistic man of good spirits; they enjoyed listening to Tiger baseball games on the radio. He died on 21 June 1945 at Borgess Hospital in Kalamazoo after a brief illness at age 82. 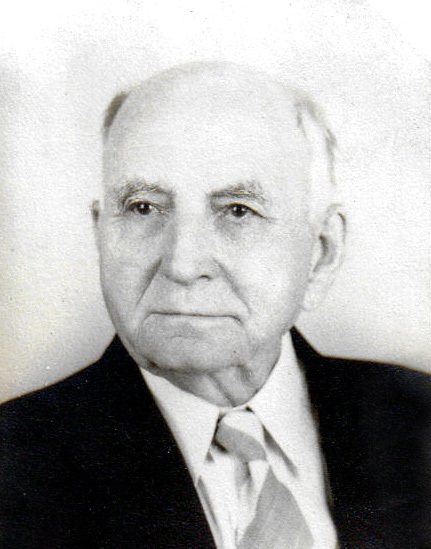 His funeral service was on 25 June 1945 at Truesdale Chapel in Kalamazoo. He was buried on 25 June 1945 at Kendall Cemetery in Van Buren County. His wife and parents are also buried there.